Gord and I met at Broncos (on Strachan Avenue, north of King Street W) for supper this evening after he finished his workday. It opened in June and we've been meaning to get there. We ran into Kasie and Zeke last week and they encouraged us to check it out. Broncos opens at 4pm on most days and we got there about 4:20pm. I love burritos and I love the ones at Burrito Boyz. I had lunch at their College Street location today (at Grace). I got what I always get ... a large chicken burrito. And it was huge and delicious and messy! It was such a nice day so I walked along Queen Street W towards downtown. I had a late lunch at the Queen Street Warehouse (Queen Street W/John Street). It's been open for about a year and there's always a line-up outside. From Goodreads ~ Loyalty, commitment, and the fight for justice have always driven Elvis Cole and Joe Pike. If they make a promise, they keep it. Even if it could get them killed. 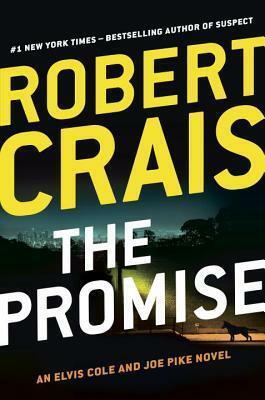 As helicopters swirl overhead, Scott and Maggie track the fugitive to this same house, coming face-to-face with Mr. Rollins, a killer who leaves behind a brutally murdered body and enough explosives to destroy the neighborhood. Scott is now the only person who can identify him but Mr. Rollins has a rule: Never leave a witness alive. Sworn to secrecy by his client, Elvis finds himself targeted by the police even as Mr. Rollins targets Maggie and Scott. As Mr. Rollins closes in for the kill, Elvis and Joe join forces with Scott and Maggie to follow a trail of lies where no one is who they claim - and the very woman they promised to save might get them all killed. Elvis Cole is a private detective and he is hired to find a woman named Amy. Meryl, her friend and colleague, said she stole over $400,000 before she disappeared. Meryl doesn't want the company to know so wants Elvis to quietly find Amy so she can make things right again. The only lead Meryl can give Elvis is that a friend of Amy's late son will probably know what's going on with Amy. When Elvis goes to the last known address of the friend, he gets caught up in a murder along with a houseful of explosives ... and the cops figure he's involved somehow. Elvis had promised Meryl he wouldn't disclose that he's working on a case and that makes him look even more suspicious. 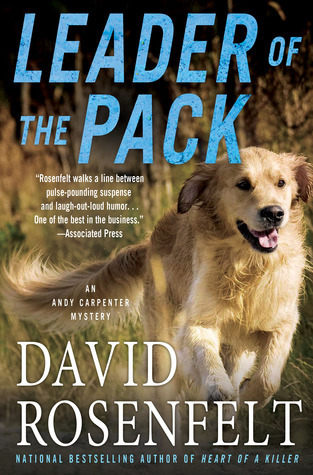 Scott is a cop in the K-9 unit and Maggie is his dog (they were the focus of Crais' 2013 novel Suspect, which I enjoyed). They are also at the scene and Scott gets a look at the killer's face, which then prompts the killer to go after Scott. Elvis and Scott eventually work together to find Amy, find the killer before he finds Scott and clear Elvis' name. I discovered the Elvis Cole series in the 1990s. What attracted me to it was that Elvis was funny and tried to be charming ... the books were a fun read. It seems like Crais has changed his writing style over the years and unfortunately so has Elvis. There were bits of humour here and there but overall I found this book really heavy and serious. The subject matter was heavy and I found the plot a bit convoluted. When one of the bad guys was revealed, I kinda went "seriously?!" The book is written from many perspectives. It's first person when it's Elvis' voice and third person when it's Scott's, Maggie's, the killer's, etc. ... the beginning of the chapters are labelled so you know. There were A LOT of characters and I had a hard time keeping them straight sometimes. As a head's up, there is some swearing in this book. 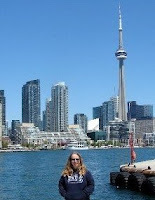 After Gord and I left Casa Loma, we walked to the Duke of York for supper. Gord ordered the Chicken Schnitzel Sandwich with a side salad. He said it was really good and he'd get it again. Gord and I went to Casa Loma this afternoon. Casa Loma is a Gothic Revival style house and gardens in midtown Toronto, that is now a museum and landmark. It was originally a residence for financier Sir Henry Mill Pellatt. Casa Loma was constructed over a three-year period from 1911–1914. The house cost approximately $3.5 million and took a team of 300 workers three years to build from start to finish. Due to the start of World War I, construction on the house was halted. At 98 rooms covering 64,700 square feet, it was the largest private residence in Canada. Notable amenities included an elevator, an oven large enough to cook an ox, two vertical passages for pipe organs, a central vacuum, two secret passages in Sir Henry's ground-floor office, along with a pool and three bowling alleys in the basement (the last two were never completed). Most of the third floor was left unfinished, and today serves as the Regimental Museum for The Queen's Own Rifles of Canada. During the depression that followed World War One, the City of Toronto increased Casa Loma's annual property taxes from $600 per year to $1,000 a month, and Pellatt, already experiencing financial difficulties, was forced to auction off $1.5 million in art and $250,000 in furnishings. Sir Henry was able to enjoy life in the castle for less than ten years, leaving in 1923. In the late 1920s, investors operated Casa Loma for a short time as a luxury hotel. The city seized Casa Loma in 1933 for $27,303 in back taxes. The castle was extremely run down and the city was motioning for the castle to be demolished. In 1937, however, it was leased by the Kiwanis Club of West Toronto, which began operating the castle as a tourist destination. the Kiwanis Club managed Casa Loma for 74 years, until 2011. From 1997 until 2012 the castle underwent a 15-year, $33-million exterior restoration largely funded by the city. In January 2014, the city entered a new long-term lease and operating agreement with Liberty Entertainment Group. From Goodreads ~ In "Izzy & Lenore", Jon Katz delves deeper into his connection with the beautiful, once-abandoned dog, learning yet again about the unexpected places animals can take us. 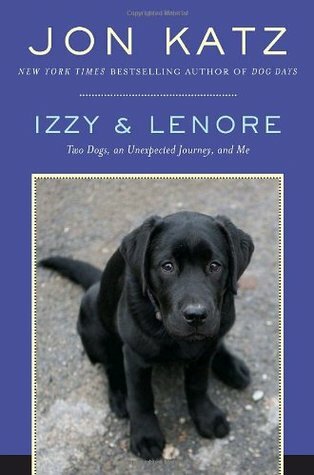 Affectionate and intuitive, Izzy is unlike any dog Katz has encountered and the two undertake a journey Katz could not have imagined without the arrival of a new companion: a spirited, bright-eyed black Labrador puppy named Lenore. As trained hospice volunteers visiting homes and nursing facilities in upstate New York, Katz and Izzy bring comfort and canine companionship to people who most need it. An eighty-year-old Alzheimer’s patient smiles for the first time in months when she feels Izzy’s soft fur. A retired logger joyfully remembers his own beloved dog when he sees Izzy. As Izzy bonds with patients and Katz focuses on their families, the author begins to come to terms with his own life, discovering dark realities he has never confronted. Meanwhile, Lenore - quickly dubbed the Hound of Love - arrives at Bedlam. Her genial personality and boundless capacity for affection steer Katz out of the shadows, rekindle his love of working with dogs and restore his connection to the farm and the animals and people around him. Humorous and deeply moving, "Izzy & Lenore" is a story of a man confronting his past, embracing the blessings of his current life and rediscovering the meaning of friendship, family, and faith. Katz shares an uplifting tale of love, compassion, and the rich and complex relationships between dogs and their humans. Jon Katz is an author living on Bedlam Farm, which has a variety of animals. He is contacted about a border collie named Izzy, who has been living his life fenced in with little contact with humans. Katz adopts him and socializes him. Katz discovers that Izzy may be a good hospice dog so they enrol in the program. Izzy does indeed have a knack for comforting people who are dying but also those who are supporting people who are dying. Katz also gets Lenore, a black Lab puppy who is a sweetie. During this, Katz acknowledges that he has depression and works through it. I love reading stories about animals. This is the fifth book I've read by this author and I liked it. I like the writing style and thought it flowed well. 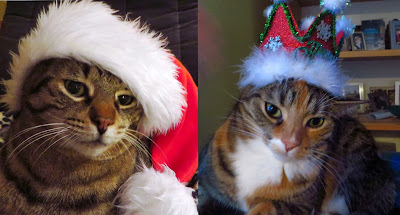 I found it odd that it was called "Izzy & Lenore" since Izzy gets more focus than Lenore. From Goodreads ~ Sandy is working the biggest case of her life - the Campsite Killer, who has been hunting women for almost forty years. She’s finally close to nailing him, if she can just keep her head in the game. 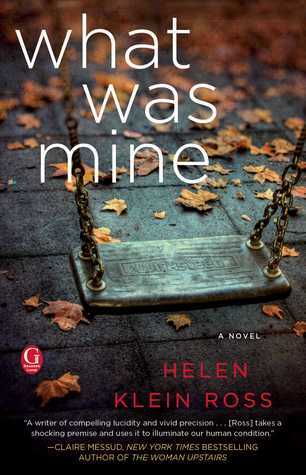 But when an old friend calls with a lead about Sandy’s mother’s murder, Sandy is pulled into the past - a past she thought she’d closed the door on. Her life is about to get real complicated, real fast. Sandy is a cop looking for the Campsite Killer. He has been on the run for many years but popped up recently when he contacted his adult daughter, Sara. She is also dealing with something from her past ... her mother had been murdered by her father and then he disappeared. And if that wasn't enough, her boyfriend of many years is pressuring her to have a baby. This is a side story of Never Knowing focusing on Sandy, which I read last month. It's written in first person perspective from Sandy's point of view. There are characters from Never Knowing including Billy (Sandy's partner) and Nadine (Sara's psychiatrist). From Goodreads ~ Something big is brewing in Trenton, N.J., and it could blow at any minute. Stephanie Plum might not be the world's greatest bounty hunter but she knows when she's being played. Ken Globovic (aka Gobbles), hailed as the Supreme Exalted Zookeeper of the animal house known as Zeta fraternity, has been arrested for beating up the dean of students at Kiltman College. Gobbles has missed his court date and gone into hiding. People have seen him on campus but no one will talk. 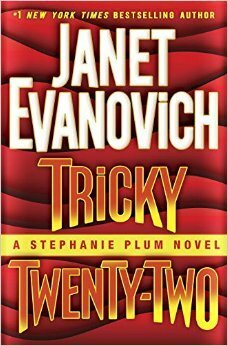 Things just aren't adding up, and Stephanie can't shake the feeling that something funny is going on at the college - and it's not just Zeta fraternity pranks. As much as people love Gobbles, they hate Doug Linken. When Linken is gunned down in his backyard it's good riddance and the list of possible murder suspects is long. The only people who care about finding Linken's killer are Trenton cop Joe Morelli, who has been assigned the case, security expert Ranger, who was hired to protect Linken, and Stephanie, who has her eye on a cash prize and hopefully has some tricks up her sleeve. Stephanie is ready to say "yes" to Joe's proposal .... and she's surprised and shocked when he breaks up with her because he has to find himself. Yet he keeps turning up and flirting with her. And Ranger is still dogging after her and she's allowing it, even though she is heartbroken that Joe had dumped her. Stephanie along with Lulu, a former 'ho, have a few people they have to find who have skipped bail. Gobbles was accused of beating up the dean of students. And then the dean and his business partner are found murdered. This point of this storyline was dumb. Stephanie and Lulu also have to track down Billy Bacon, who had slathered his body with body grease and slip down a chimney to rob someone, and a fella who kidnaps and rapes women and then cuts them up to feed to his cats. 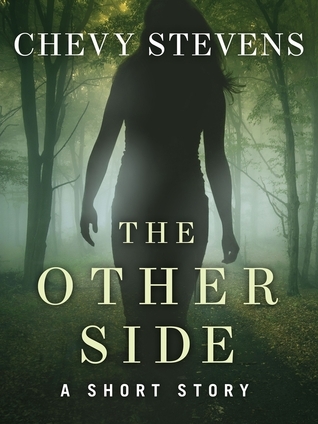 It's written in first person perspective from Stephanie's point of view. There is some swearing (like the "F-bomb") and some adult situations. 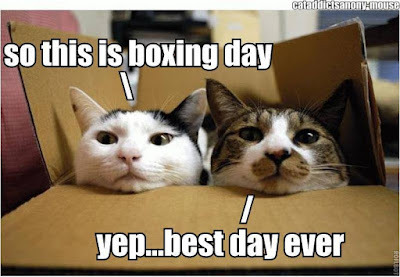 Boxing Day is traditionally the day following Christmas Day, when servants and tradesmen would receive gifts, known as a "Christmas box", from their bosses or employers. Today, Boxing Day is the statutory holiday. It is observed in the United Kingdom, Canada, Hong Kong, Australia, New Zealand, South Africa, Trinidad and Tobago and some other Commonwealth nations. In Canada, Boxing Day is primarily known as a shopping holiday, much like Black Friday (the day after Thanksgiving) in the U.S. It is a time where shops have sales, often with dramatic price reductions. Many retailers open very early and offer doorbuster deals and loss leaders to draw people to their stores. It is not uncommon for long lines to form early in the morning, hours before the opening of shops holding the big sales, especially at big-box consumer electronics retailers. From Goodreads ~ Lucy Wakefield is a seemingly ordinary woman who does something extraordinary in a desperate moment: she takes a baby girl from a shopping cart and raises her as her own. It’s a secret she manages to keep for over two decades - from her daughter, the babysitter who helped raise her, family, coworkers and friends. When Lucy’s now-grown daughter Mia discovers the devastating truth of her origins, she is overwhelmed by confusion and anger and determines not to speak again to the mother who raised her. She reaches out to her birth mother for a tearful reunion and Lucy is forced to flee to China to avoid prosecution. What follows is a ripple effect that alters the lives of many and challenges our understanding of the very meaning of motherhood. There's nothing Lucy wants more than a baby. Unfortunately it doesn't happen for her and her husband and eventually they split up. From then on, Lucy focuses on her career. She is in IKEA one day and comes across a four-month-old baby in a shopping cart. She looks around for the mother but doesn't find her. With good intentions, she takes the baby toward the customer service desk to let them know she found the baby ... but keeps on going to her car. She tells everyone that she adopted Mia, the baby, from a teenager in Kansas and raises her as her own and Mia lacked for nothing. Marilyn is shopping at IKEA and gets distracted by a phone call. After the call, she realizes that Natalie, her baby she has left in a shopping cart, has disappeared. Her life and marriage fall apart and she eventually moves to California where she starts a new life with a husband and three children. But she never gave up hope that she would find Natalie. When she is 21, Mia/Natalie discovers the truth and is devastated. She heads to California to get to know her mother and her family. Lucy takes off to China, where there are no extradition laws, to avoid prosecution. This is the first book I've read by this author and I enjoyed it. I thought it was an interesting topic and I thought the author handled it well. I liked the writing style. It is written in first person perspective with a shifting point of view ... Lucy, Mia, Marilyn, Wendy (Mia's nanny), Tom (Mia's father), Grant (Marilyn's husband), etc. The names are at the top of the chapter so you know whose voice it is. Die Hard is Gord's favourite Christmas movie. Though he has seen it many many times, he's never seen it "on the big screen" (me either). It was playing tonight at Bloor Hot Doc Cinema (Bloor Street W/Bathurst Street). And as a bonus, it was a quote-along. It’s just not Christmas at the Bloor without a visit to Nakatomi Plaza. This year, we’re blowing the roof off with a special quote-along edition hosted by comedian Ward Anderson (co-host of Ward and Al, Sirius XM). Kick off your Christmas with a night filled with audience participation, festive drink specials, a hilarious pre-show and more. That’s right, Hans - we have the detonators! Bring your friends and family (but leave the younger kids at home) for "Die Hard" on the big screen, with the sound cranked and subtitles for quoting along. 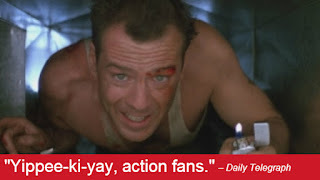 Yippee-ki-yay! I hadn't been in this theatre in years ... it's really nice and comfy. The theatre seats about 250 and most of the seats were filled. If you bought a donation for their food drive (in support of The Stop), you were given a prop bag full of goodies ... of course, we did. From Goodreads ~ Over the course of his legal career, Andy Carpenter has lost a few cases. But that doesn't mean he forgets his clients. Andy has always been convinced that Joey Desimone, a man convicted of murder nine years ago, was innocent and believes that Joey's family's connections to organized crime played a pivotal role in his conviction. While there isn't much Andy can do for him while he serves out his prison sentence, Joey suggests that he check up on Joey's elderly uncle. He'd rather not, but as a favor to Joey, Andy agrees to take his dog, Tara, on a few visits. The old man's memory is going but when Andy tries to explain why he's there, it jogs something in the man's mind, and his comments leave Andy wondering if Uncle Nick is confused or if he just might hold the key to Joey's freedom after all this time. Andy grabs on to this thread of possibility and follows it into a world where the oath of silence is stronger than blood ties and where people will do anything to make sure their secrets are kept. Joey Desimone is a case that his lawyer, Andy Carpenter, had lost ... as a consequence, Joey has spent the last years in prison for murdering his ex-girlfriend and her husband. Andy goes to visit Joey four times a year. Once every couple of months, Andy goes through the old case files of those he has lost to see if something new jumps out at him. In Joey's case, something does and Andy is able to get a retrial. Andy would rather not have a case on the go (he'd rather work in the dog rescue he and his friend, Willie, have started) but this is a chance to right a wrong. As Andy and his team investigate, they focus on a different theory ... maybe the ex-girlfriend wasn't the target but her husband was. This leads Andy to dig into the dealings of Joey's family, which is "the family" since they are into organized crime. This is the tenth book I've read by this author and I thought it was okay. Though the story was a bit convoluted, I thought the "whodunnit" at the end was an interesting surprise. I liked the writing style as it was funny, sarcastic and amusing. It was written in first person perspective in Andy's voice but at times it was also written in third person perspective. It is the tenth in the Andy Carpenter series (and the tenth I've read) and it works as a stand alone (so you don't need to have read the ones before it to know what is going on). I like Andy. He loves his dog, Tara, and thinks she's the most wonderful dog in the whole wide world. Laurie, Andy's love interest, is living with him and working as his investigator. Hike is Andy's associate and is the most depressed and downer person ever. Sam, his accountant who is also a computer hacker, wants a more active role but finds out the hard way that maybe he should stick to staying behind his computer. Marcus, an investigator with persuasive reasoning skills, rounds out the team and continues to provide protection when it's most needed (which is often). 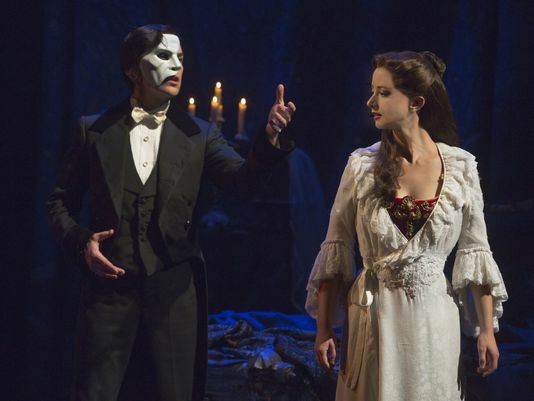 I saw The Phantom of the Opera tonight, presented by Mirvish Productions at the Princess of Wales Theatre (it's the U.S. tour). I've seen it about five times and it's one of my top five favourites. I'd seen the original production that ran in Toronto for ten years in the late 80s/early 90s with Colin Wilkinson in the title role (he was awesome). 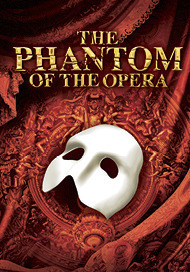 It was probably the first mega-musical I'd seen. I thought the actors did an excellent job in their roles. 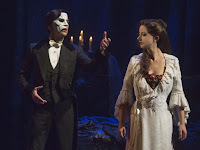 Chris Mann as the phantom made me feel sorry for him even though he is the bad guy. The set is scaled back from other productions I've seen but I didn't find it lacking. They were creative with what they did. There are lots of pyrotechnics ... some a bit too bright so I had to look away and I felt the heat (I was 13 rows back in the middle). The chandelier at the end of the first act sudden drops ... and it dropped right above me. Pieces of glass flew among the crowd. It's in Toronto until January 23 and worth checking out. Before I saw The Phantom of the Opera this evening, I had supper at Grace O'Malley's (Pearl Street/Duncan Street). I walked to the Eaton Centre to checked out their holidays decorations.